Habitat - Mesic wooded slopes, meadows, savannahs. Other information - This striking species can be found scattered throughout much of Alabama. 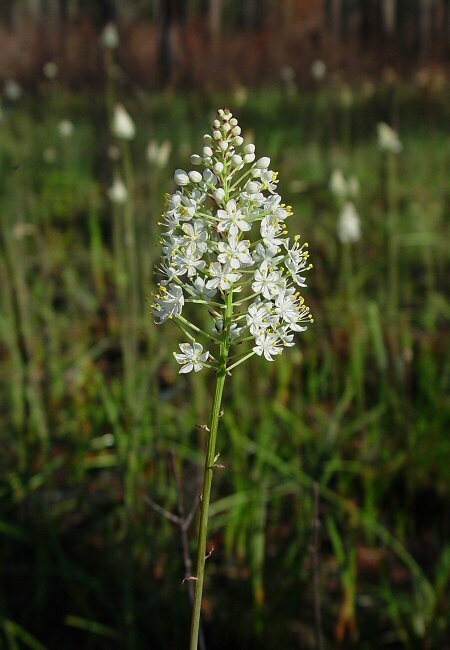 The plant can be identified by its long, thin basal leaves, and its cylindrical inflorescence of small, white flowers. The flowers undergo changes in color with age. At anthesis the flowers are white but fade to a yellow or even purplish color with time. The plant shown above was photographed very early in its flowering season. 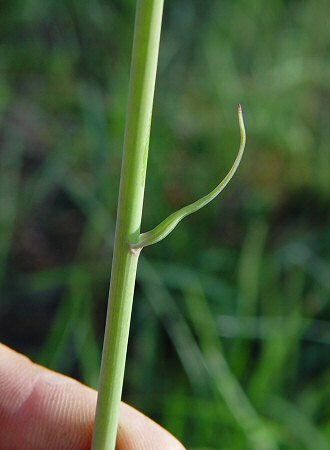 The inflorescence will get much longer and cylindrical in older plants. This is a toxic species which contains many alkaloids. 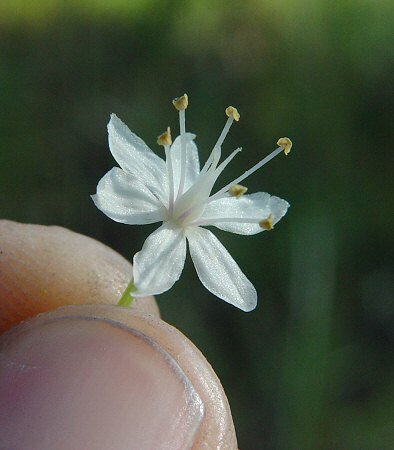 The genus Amianthium derives from the Greek "amiantos" meaning "unspotted" and "anthus" meaning "a flower" referring to the tepals of the flowers which are lacking basal glands. Other similar genera have an obvious gland at the base of their tepals. The species epithet muscaetoxicum derives from the Latin "musc(a)" meaning "a fly" and "toxic(um)" meaning "a poison" probably referring to the toxicity of the plant. Another spelling for the name is A. muscitoxicum. Photographs taken in the Appalachicola National Forest, FL., 3-30-05.